When a tooth becomes infected with caries, the hard tissues of the teeth get destroyed, and they break. Depending on the severity of the decay, the infection may encroach to the area of the pulp, so that a regular tooth filling is contraindicated. When this happens, a root canal is performed, and this renders the tooth dead. To eliminate the infection, the pulp tissue is removed, replaced and then sealed. Unfortunately, root canal treatments fail sometimes. Since dentists would want for treatments to be final, some cases fail either because it became re-infected or the initial infection was not completely removed, so the root canal treatment will be deemed a failure and one need to decide what’s next. a) You can repeat the root canal treatment. Some people would go for a retreatment. If the assessment reveals that the root canal treatment initially performed was insufficient and improper, it may be repeated. A retreatment will more or less be like a standard root canal treatment, but it will involve the removal of the existing filling materials, so that the entire work may be redone. b) You can perform an apicoectomy. If the root canal seems to be fine and the radiograph reveals the presence of an abscess on the tip of the roots, you can resolve this infection with an apicoectomy. That is a surgical procedure that involves burning a hole in the area of the tip of the roots (apex) to remove the abscess. After eliminating the infection, the apex/tip of the root is sealed, and the gums are reattached to the bone and allowed to heal. c) You can extract the tooth. Sometimes a re-infection following a supposedly completed root canal presents hopelessness. Retreatment is deemed questionable, and the performance of apicoectomy cannot guarantee success, so to cut things short, a tooth extraction is preferred. A tooth extraction resolves the infection because the root of the infection is removed from the jaw, but it this means that the tooth is gone. If this is your treatment of choice, you have to discuss dental prosthetics with your dentist. Since dentists would like to confidently say that a root canal treatment is a finite solution to a pulp infection, some cases fail. Even the most experienced Endodontist can face a failed root canal treatment, and it does not always signify dentist error. 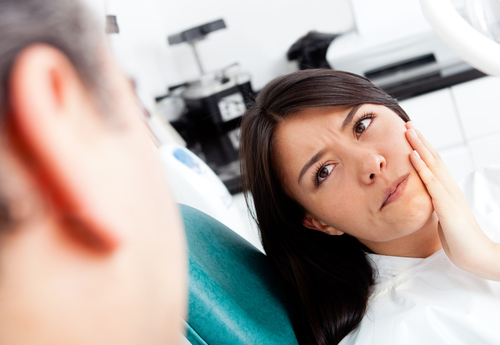 A lot of things can go wrong, following a root canal treatment, when this happens you have to decide on what to do next. 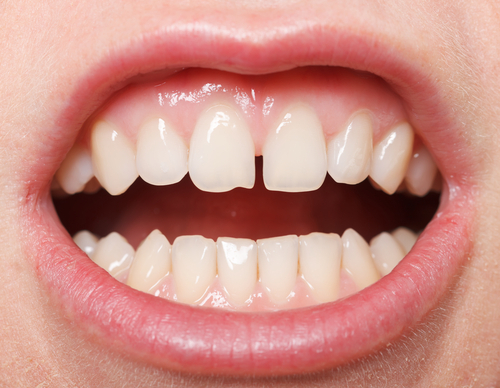 A diastema is a space in between the teeth. That could either develop as a consequence of tooth or teeth loss, following teeth migration or shifting; or it could be an innate condition brought about by smaller teeth, frenum position or jaw size. Regardless of why the teeth are spaced away from each other, patients find an esthetic issue with it, so they want it corrected. Who intends to smile with ugly gaps in their teeth, right? Braces. The most acceptable way to close spaces is to install braces. Orthodontic treatment will shift teeth and pull them together. As conventional orthodontic treatments go, it involves bone break and bone building, so that the teeth could collectively take a new shape in the jaw—and new position without spaces. Of all the options, this is the most acceptable because the teeth are left sound and untouched. Dental Bondings. Using composite material (the same material used for dental fillings), the spaces are closed by reshaping the teeth with the utilization of the filling material. The two teeth are allowed to meet, to lock the space, to cover the gap. The result is a bite that’s seemingly aligned, without spaces, with the teeth maintaining its natural curvatures; and it may be done with or without tooth reduction. Veneers. For more retentive and more esthetic results, a patient can choose to get veneers to close their gap(s). This treatment option involves fairly minimal tooth reduction, limited to the facial and biting surface of the teeth, so much of the teeth is preserved. It may be made with ceramic or porcelain and is cemented in place. Dental Crowns. The problem with veneers is that since it is limited to a facial reconstruction, it is not as retentive as one would hope for. Regarding aesthetics, the results are more or less similar to veneers, but what you get with a full-coverage crown is retention. It is more retentive because all surfaces of the teeth are reduced, and the entire tooth receives a crown. Frenectomy + Cosmetic Treatment. If the cause of the diastema in between the two central incisors is due to the position of the frenum, a minor surgery is performed. That involves the cutting and repositioning of the frenum, followed by a chosen treatment (as described above) to actually close the gap. Frenectomy is essential because the soft tissue will only push the teeth and recreate the space once again. Whatever option you pick, all these will close the gap and give you a straighter and more attractive smile. A diastema is not an important concern, but some people would have it corrected because the spaces make the teeth look odd. Many people are quick to dismiss the health of their gums. When they think of oral health, they believe that it’s all about the teeth, but they forget that the health of the soft tissues of the mouth matter too. As a matter of fact, the teeth relies on the health of the gums to stay in the mouth. Severe gum disease results in bone loss, and that means the loss of support so that the teeth becomes mobile and can fall out. In an even more serious note, the health of the gums should not be taken for granted because it has been found to cause and exacerbate various systemic diseases. Plaque is the number one enemy of dentists. Its formation involves three key ingredients: food (sugar), saliva and bacteria. Since you cannot do anything about the natural bacteria and the saliva, you have to control the one that you can, and that is food. Proper hygiene practices are encouraged so that the mouth does not become a breeding ground for bacteria. While people with diabetes are most prone to developing periodontal disease, research shows that it can also go the other way around, with chronic periodontal patients developing diabetes as a consequence of prolonged disease. People with diabetes are prone to infection, so they are always encouraged to have their disease under control. A patient who neglects his dental health can develop gum disease that will progress into Periodontitis. A patient suffering from periodontitis often have problems controlling their blood sugar, and with levels spiking ridiculously, diabetes becomes an actual threat. Periodontal disease is found to increase the risk for heart disease. Infections that is synonymous to periodontitis can be the same culprit that causes heart problems. As a matter of fact, some evidence finds periodontal disease has been linked to the onset of stroke. Studies reveal that the same bacteria that accumulate in the mouth as a result of gum disease can be aspirated into the lungs and cause respiratory illness. Patients with periodontal disease are found at high risk of developing pneumonia. Do you know that 49% of patients with periodontal diseases are found with kidney disease; 54% with pancreatic cancer and 30% are found in various blood cancers? Yes, studies show a relation between gum disease and cancer. 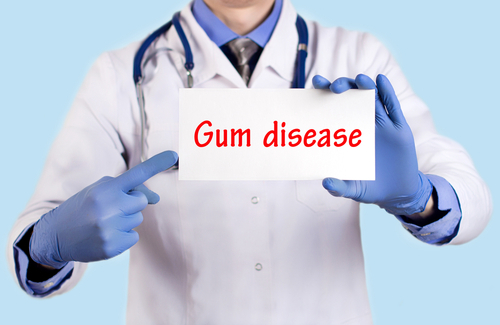 Gum Disease is often taken for granted, but it should be taken seriously by everyone. A lot of people think that dental health is not as dangerous as medical health, but this article shows how the health of your teeth can affect your overall well-being. It is about time you paid more attention to your smile.